Earthy Mama: Easter is Early! Is it just me or does anyone else feel rushed into Easter this year? Easter is always in April and now it is March 31st! AHHHH is what I am saying. 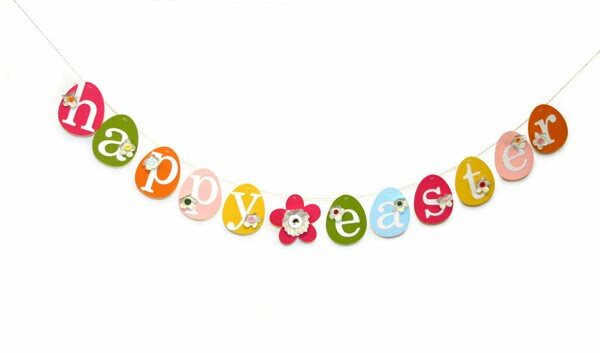 I LOVE Easter not only for the reason but it is also a fun family time for my family. We are not very wealthy so even Christmas is not a huge ordeal other than celebrating Jesus' birth. So for Easter it is a family event all day. We work together to color the eggs and I hide them then it is so fun to watch them look for them. We also make a big dinner for us to all enjoy and get fat and happy. I think anytime you can make memories together with your family is the best ever. These are the times that the kids will never forget and I will not either. We get to learn multiple things for school in a fun way as well as have a bible lesson. It is so much easier to teach your children when they can get excited about things. I found this great little snip it from Ministry to Children that makes for a great read for the kiddos. The hard part of Easter is what to put in the baskets and not spend a ton. I usually do the summer buckets with shovels that are about a buck a piece from Wal-Mart. We go swimming a lot in the summer so the buckets get lots of use and only last one season but it is a gift with two uses. Now I am not really into the grass stuff as it is a MESS and gets all over. I will usually ball up left over tissue paper from Christmas at the bottom of the buckets. There is one bad habit I have and I do get the kids candy. My parents always put it in my buckets so I do the same. I usually get cotton candy (still my favorite candy to this day) a chocolate bunny or cross, and some kind of egg. I put some of the little egg candies in the plastic eggs and a couple I put money in for hiding. I also try to get them some kind of fun summer toy that they will be able to use this summer. Then I do add things like natural gummies and come goldfish type crackers. Do you make your kids a basket? What do you fill yours with? Great Scriptures! Since Easter is so early I feel so unprepared! I like my Easter in April! And I like to have more time to get ready for it. We need to start reading the Easter story and getting our hearts prepared. I so hear you. Not quite prepared to have Easter come so early this year. Definitely agree that Easter is much better in April. We do Easter baskets, but we make sure that the girls know the true meaning of Christ and His resurrection!